So, what exactly are you smoking? Your next blunt or pot brownie may have some undesirable additives, including neurotoxins, molds and heavy metals. Arsenic, anyone? The passage of Amendment 64 in Colorado legalized recreational marijuana for those 21 years of age or older, and House Bill 1317 initiated mandatory potency testing — but only for the recreational stuff. Medical marijuana has been available to physician-approved patients, but is not required to undergo any sort of potency testing or contaminant detection. Under current legislation, recreational marijuana cannot exceed 100 milligrams of delta-9 tetrahydrocannabinol (THC) per unit and must pass laboratory inspection. Unless specifically requested, neither recreational nor medicinal marijuana is tested for potentially harmful toxins, including pesticides, fungicides, herbicides and molds. Smoked, vaporized or ingested, the absence of chemical-level regulation can potentially produce unwanted health issues. Matt Haskin, co-founder of quality assurance testing laboratory CannaSafe Analytics, says the most common toxins found on cannabis are pesticide residues, including avermectins and miticides. In high enough doses, these can affect the central nervous system. Based in Southern California, CannaSafe Analytics was the first International Organization of Standardization accredited cannabis testing laboratory in the nation. In addition to pesticides and herbicides, molds can also be an issue with cannabis. According to California-based Steep Hill Labs, Inc., the most commonly seen mold is mildew, which is also the least harmful. Aspergillus, however, is also found on cannabis and can have highly toxic carcinogenic properties that damage the kidneys. Whether slightly harmful, or seriously concerning, users who already have a compromised immune system and use marijuana for medicinal purposes may be exposed to additional contaminants of untested cannabis. Based on the Colorado Department of Revenue sales numbers, medical marijuana patients are shelling out big money for potentially untested product. Medical marijuana sales in the second quarter of 2014 totaled a staggering $10,993,864 in Boulder County alone and $105,643,590 across Colorado. This is an increase of more than $2 million in Boulder County and more than $5 million in Colorado from second quarter 2013 sales. For the entire first half of the 2013 to 2014 fiscal year, Boulder County recorded $21,692,990 in medical marijuana sales, adding to Colorado’s total of $215,960,667. As of Aug. 1, 2014, there were 488 licensed medical marijuana centers and dispensaries, more than double the 217 licensed retail marijuana stores. Contaminants and toxins not only pose a threat for medical patients, but also for recreational users. And there are more than just a few of those individuals. Cannabis sales have exploded in Colorado after the legalization of recreational marijuana, resulting in a 31 percent higher demand than the Department of Revenue initially estimated. With approximately 686,000 yearly users and 485,000 monthly users, the Marijuana Enforcement Division (MED) Market Size and Demand Study released in July estimated marijuana demand by Colorado adult residents will reach 121.4 metric tons in 2014. That’s a lot of green – in bud and in dollars. The demand for both recreational and medicinal marijuana has put pressure on growers and producers to grow faster with higher yields, which may lead to some growers compromising quality in order to meet the demand. Specifically, Haskin said, for the presence of plant growth regulators. In this case, bigger doesn’t always mean better. Although traces of extremely harmful chemicals are rare, laboratories are only able to test whatever samples certain registered growers and dispensaries send in, leaving users to question how many choose not to, and why. Lead grower for Organic Alternatives Medical Marijuana Dispensary in Fort Collins, Sean Bradley, believes that all marijuana, recreational and medicinal, should be tested and upheld against the industry standard. Organic Alternatives displays all of their products as grown and produced organically. Despite clean, organic growing practices, there is no cannabis product that can be technically labeled organic, according to the United States Department of Agriculture or the Food and Drug Administration, because it is still illegal at the federal level and classified as a Schedule I substance. Haskin explained that cannabis is grown in three different ways: outdoors, indoors or in a greenhouse setting. Even if outdoor growers opt out of using chemical pesticides and herbicides, the plants are susceptible to cross contamination from other farms where chemicals could be carried through the air. 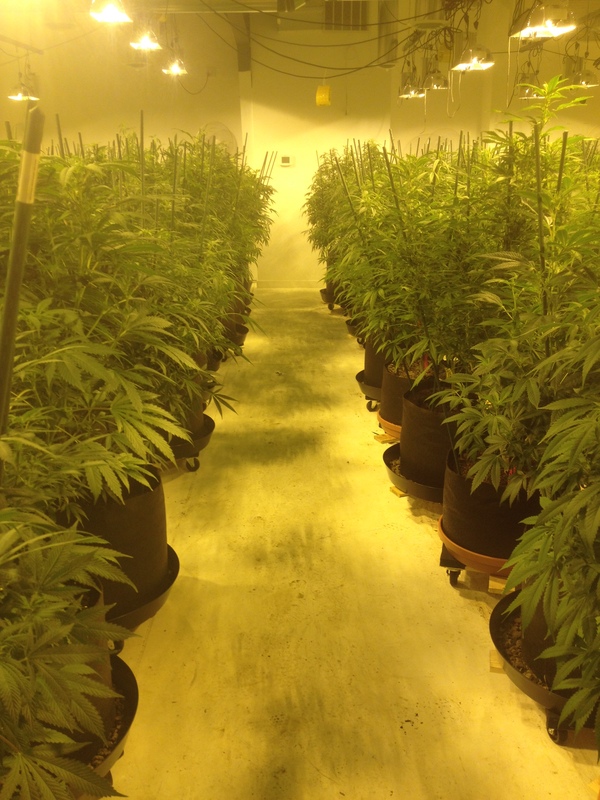 To deter any sort of contamination and ensure complete organic properties, he said that the marijuana would have to be grown in a clean room from floor to ceiling where individuals would have to adorn hazmat suits. Although this method would produce the cleanest product, he noted that it would also cost more and generate smaller yields. Bradley has a slightly different view on what it means to grow organically. He agreed that it costs the company two to three times the amount in production costs to grow as organically as possible, and that “the yield is less, but the product is superior.” Organic practices, such as making microbial teas brewed with water, oxygen and raw materials (note: earthworms, and bat and bird guano), allow the plants to take up these non-chemical fertilizers from the soil, creating a living colony of beneficial bacteria for the plant. Any chemicals use, including pesticides, fungicides and cleaning materials, are all certified organic. Unlike Organic Alternatives, not all dispensaries or marijuana businesses elect to test their product for potency or contaminants before it hits store shelves, and consumer blood streams. An even greater barrier is posed for individuals who want to get a product tested, whether bought at a dispensary, or created at home. Earlier this year, the MED barred licensed marijuana testing labs from accepting samples from individuals not registered as a business with the state. Laboratories are required to track all samples through the state’s inventory tracking system, which all licensed marijuana businesses must use. As of Aug. 1, 2014, Colorado had four licensed and certified cannabis testing laboratories. Effectively, neither medical marijuana patients, nor those who make tinctures, oils, or edibles at home, have the option of submitting any dispensary-bought or personal samples to ensure specific potency or the absence of additional toxins. This can be a pose a major problem for those aiming to create or to buy marijuana with certain THC and cannabidiol, or CBD, levels. Cannabidiol, or CBD, is a non-psychoactive compound found in marijuana and is typically used for medicinal purposes. Potency levels can be just as much of an issue as toxins for both patients and recreational users. Depending on what an individual is consuming the marijuana for, many depend on a particular THC to CBD ratio for medicinal purposes and others for enjoyment. Absence of a label, or a mislabeled product, could produce unwanted side-effects for the consumer. Even growers who do test for potency can’t always ensure consistency as a single plant’s THC levels may not be uniform throughout. Regulations, however, are on the verge of changing in the near future. There is talk of required testing regulations for both recreational and medicinal marijuana, for potency and for contaminants, slowly being phased in over the next year. Testing not only will allow users and businesses to understand the chemical makeup of a plant, but also for microbiologists and laboratories to more accurately determine the genetic makeup. Cannabis indica and Cannabis sativa are the two most common marijuana strains produced for consumption. 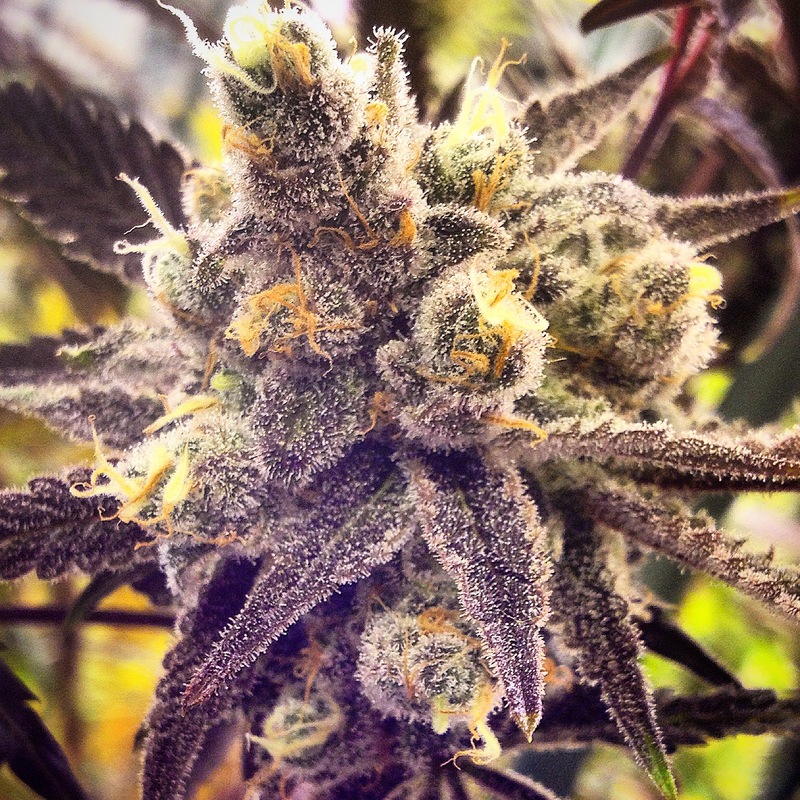 Many growers crossbreed the strains to create hybrids with different ratios of THC to CBD. Growers can breed in certain characteristics unique to a particular strain, including color and odor, and often dedicate a reflective name to the strain. White Widow, Agent Orange and Grape Skunk are just a few examples. Comprehensive testing, however, could cut through the guessing games posed by the creative hybrid names and provide consumers with specific strain information. Without stricter regulations in place, the majority of cannabis testing will continue to be done on a voluntary basis. Until then, it’s up to the consumer to inquire about testing before toking.